We had a successful first trip to Destin, Florida. I say “successful” rather than “exciting”, “relaxing” or “eventful” as really it was none of those – and with an infant, that is a good, good thing. Zach did great on the drive. He just got fussy near the end of each day, and who could blame him? We were all ready to be out of the car too. 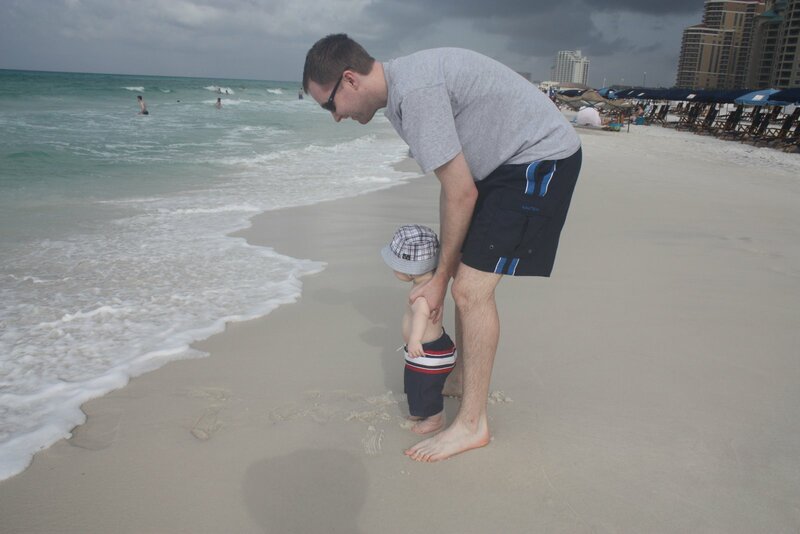 Once we got there though, he really did not like the beach one bit. I kept saying we tried at the wrong time, or he doesn’t like the sun, blah, blah, blah. The kid was just not a fan of the water hitting him over and over again. So we spent a lot of time at the pool. Yes, the same thing that we do here in our trashy above ground – but we were in FLORIDA, so it was much better and we didn’t have the dog running circles around the pool either. By the last day though, when we were in the water at 7:45 am he started to like it. The water was crystal clear and totally calm. Alex was so happy to see Zach enjoying it, it really made everyone’s day. 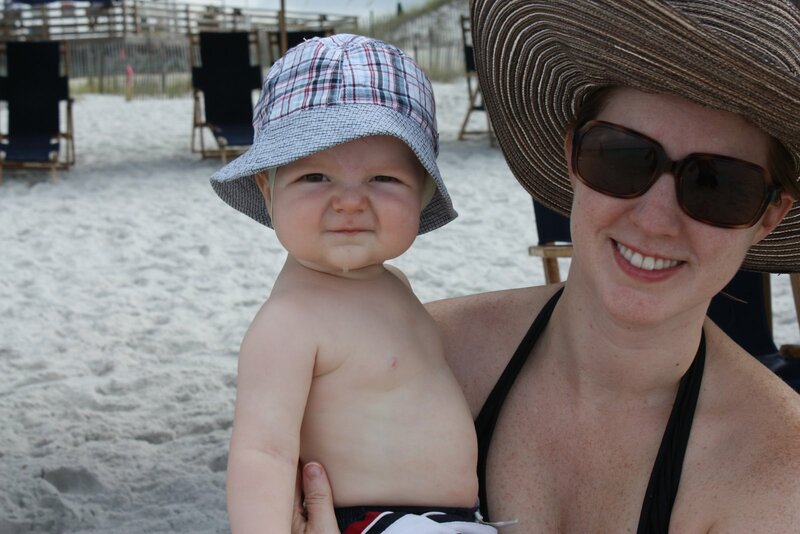 Zach’s “Beach Face” – eyes and nose squished up with a look of mock horror, usually his mouth was open as well.